Are आप a extreme प्रशंसक of the Furry Fandom? and/or are आप a Legit Furry? Do आप have a फर suit? Whats your main fursonas sexuality? This is a social equality furry network that is ran द्वारा furries for furries. SoFurry is one of the largest and longest-running furry art, ficton, chat and community sites. Inkbunny is a furry art community that helps आप showcase your art, comics, stories, संगीत and animations. a poll जोड़ा गया था: Are आप a extreme प्रशंसक of the Furry Fandom? and/or are आप a Legit Furry? 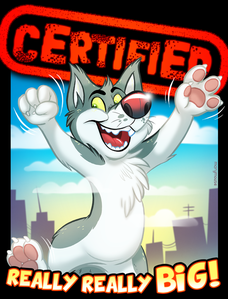 Who's the artist behind the Certified badges?